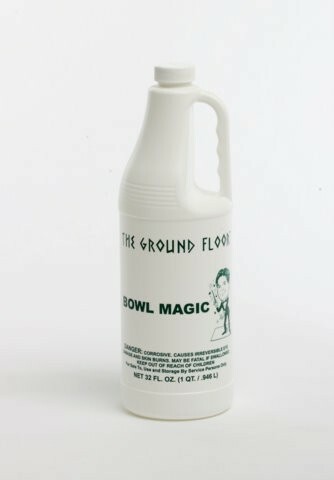 This unique NON-ACID bowl cleaner is just as valuable and important to your stone tile floor as it is for your toilet. While transforming a dirty toilet into something you could drink out of (your dog will thank you), Bowl Magic vehemently protects your polished travertine/marble/limestone floor and everything surrounding it from uncontrollable splashing. Dirty drips and leaks will never touch the floor again. Making cleaning very easy!